I’m in the middle of a search for my next exotic car, even though regular readers and my millionaire students already know that I’m a diehard Lamborghini fan (see pics of my $235,000 Lamborghini here). 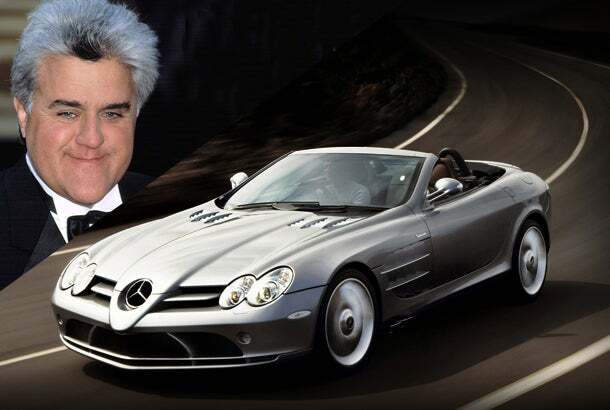 No list of celebrity luxury cars would be complete without Jay Leno, who’s rumored to have a 17,000-square-foot garage packed with everything from a 1906 Stanley steamer to an EcoJet. His favorite, however, is the rosewood colored Mercedes SLR McLaren pictured below, which comes with a price tag of more than $250,000. No, you don’t need a car to get around New York. And, yet? 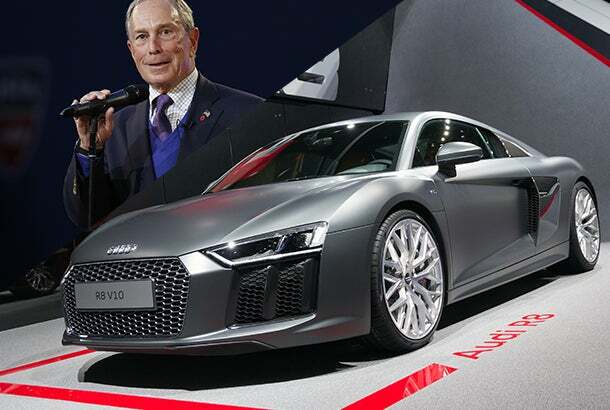 This former New York City mayor owns not just any car, but a posh Audi 8 that retails for around $120,000. It’s really a shame that the car’s 0-to-60 speed of 3.2 seconds likely gets about zero use on NYC’s packed streets. 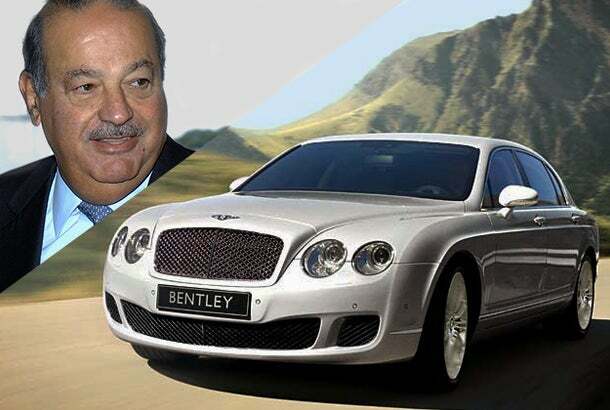 You wouldn’t expect this Mexican telecom giant, who regularly vies with Bill Gates for the top spot as the richest person in the world, to drive an ordinary sedan, but his car of choice really does blow things out of the water. The Bentley Continental Flying Spur doesn’t just sound fancy, its performance lives up to its name. The car’s six-liter W12 engine can go from 0 to 60 in 4.3 seconds, and the whole thing maxes-out at a top speed of 200 miles per hour. Oh, and the cost? At $300,000, it’s more than what most houses cost in Mexico. One more reason why it’s great to be rich? You can wield your influence to get a federal law passed by former President Bill Clinton to let you drive your luxury car of choice. 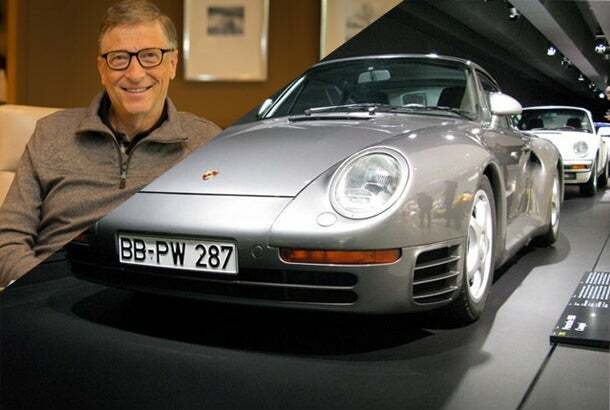 Microsoft co-founder Bill Gates’ own car of choice, the $400,000 Porsche 959 Coupe, is so rare that there are only 230 in the world, and the model itself has no official crash-test rating (hence, the necessary legal wrangling with the government). I hate to include Paris Hilton on this list, but her tricked-out Bentley GT Continental deserves a shout-out. It’s not that the car itself is all that special; it’s the fact that she ordered it in Barbie pink, with a diamond-encrusted dashboard. The hotel heiress’s total investment? Nearly $285,000. DiCaprio may not have an Oscar yet, but he’s still sporting some serious bling in his garage. 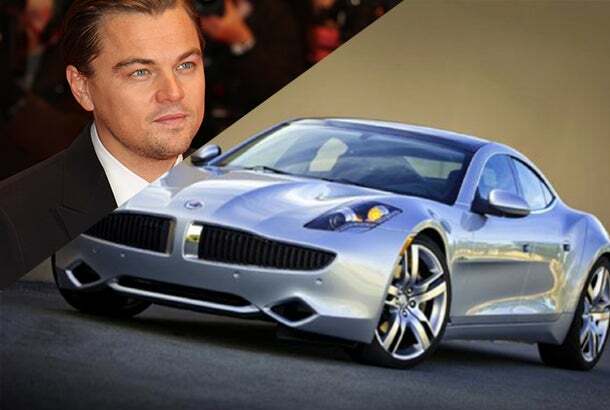 His $100,000 Fisker Karma extended-range, plug-in hybrid not only looks great, it’s an environmentally conscious choice, as well. 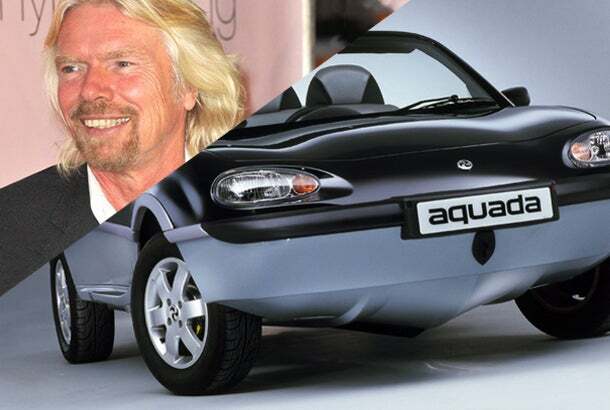 Want your own luxury car? I put together this list because, well, I’m a car guy. Nothing makes me happier than driving around Miami in my Lambo or shopping new models and trying to decide what to add to my garage next. Well, nothing is expected soon, but I'd like to inspire my students to reach new heights as penny stock traders! And what about other readers? I don’t want you to look at this list and feel down on yourself because a Ford Fusion is sitting in your garage where your Lamborghini should be. We all start from different places, and there’s no shame in being frugal while you’re building your wealth. The mistake is to look at these pictures and think, “I could never have something like that.” Of course you can! Do you really think there’s some huge, insurmountable difference between you and the millionaires on this list? There isn’t. They worked hard and went after what they wanted -- and you can, too. It all comes down to mindset. Change yours. Start to see this kind of luxury not just as a possibility for you, but as an eventuality. Use your new outlook to drive the time you invest in yourself as you learn to invest in the market and grow your account from tiny to tremendous. Your own luxury car will be waiting for you.